April 24, 2010 - Darby Aviation disputes the claims outlined in the Federal Aviation Administration's (FAA) recent filing suspending Darby Aviation's Part 135 certificate, which permits Darby Aviation to charter aircraft operations for hire to the general public. "This suspension action revolves around a manual that the FAA has claimed is insufficient, however it is the same manual that has been approved since 1992 and incorporates all changes required and approved by six (6) prior FAA inspectors. "In fact, the present Front Line Manager of the Alabama, North Florida Flight Standards District Office (the “Birmingham FSDO”) and Darby Aviation's present FAA Principal Operations Inspector (“POI”) each approved this manual before wrongfully revoking the same document. “The FAA is an agency of the United States of America. Long ago, our forefathers adopted the United States Constitution. This very important document is what distinguishes us from many other countries and provides each American citizen with due process of law and prevents the federal government from taking a citizen’s property without fair consideration. A Part 135 certificate, a pilot’s certificate, a mechanic’s certificate, an inspector’s certificate and an aircraft’s certificate are property and cannot be taken by the United States Government without due process of law. "Upon information and belief, particular individuals at the Birmingham FSDO, including the Manager, the Front Line Operations Manager, Darby Aviations’ POI, Darby Aviation’s prior Principal Maintenance Inspector (“PMI”), an Aviation Safety Inspector, and perhaps others have conspired to put Darby Aviation out of business. It appears the motive behind this conspiracy relates to the 2005 Platinum accident in Teterboro, New Jersey. Platinum was a company that was introduced to Darby Aviation by the PMI and an Aviation Safety Inspector ("ASI") from the Birmingham FSDO. "The Birmingham FSDO requested Darby Aviation amend its certificate to add Jets leased by Platinum and Darby complied. After all regulatory modifications and requirements were satisfactorily completed, the FAA approved the addition of the Platinum Jets to operate under Darby’s certificate and approved the structure of the relationship. Per the approved contracts and manuals, Platinum was required to submit proper documentation to Darby and to receive approval before conducting any flight under its certificate. Subsequently, without submitting documentation and without Darby’s knowledge, sanction or approval, Platinum took the subject 2005 flight that resulted in the accident. "The Platinum incident was fully investigated and it was determined that Platinum did not obtain the proper authorizations from Darby before conducting the subject flight. The Teterboro FSDO sought to suspend indefinitely Darby Aviation’s Part 135 Certificate, claiming that the contract with Platinum that was recommended and approved by the Birmingham FSDO resulted in Darby Aviation not having operational control over Platinum. "The National Transportation Safety Board (“NTSB”) Administrative Law Judge (“ALJ”) found Darby innocent of all charges and ruled that Platinum violated the approved contract by conducting the flight without authority, as it was required to do. A panel of the NTSB who did not hear the testimony reversed the ALJ opinion and found that the Birmingham FSDO and Darby Aviation were equally culpable in not preventing Platinum from committing fraud and conducting the unapproved, unsanctioned, and forbidden flights. The FAA has publicly admitted to its errors in the Darby case. "The NTSB panel also ruled that the FAA must act in good faith with Darby Aviation and that any suspension had to be lifted once Darby Aviation and the Birmingham FSDO restructured any approved arrangement that the NTSB could consider as insufficient operational control. Darby Aviation was subjected to an NTSB inspection, an OSIP inspection and a NASIP inspection, all of which Darby passed without issue. Darby Aviation was given full approval to continue operations in a short period of time. The Birmingham FSDO, however, was reprimanded by superiors for failing to sufficiently perform its duties. This apparently embarrassed the Birmingham FSDO and it has been on a mission to put Darby Aviation out of business ever since. "Shortly thereafter, the individuals at the Birmingham FSDO who supported Darby Aviation’s innocence either “retired” or were faced with frivolous certificate actions as punishment. For instance, Ed Jeszka, Darby’s Principal Operations Inspector (“POI”) in the Birmingham FSDO when Platinum was at issue and Ray Ledbetter, a veteran and lifelong aviator who was not involved in Platinum, but was merely caught in the cross fire, were served with emergency revocations of their pilot certificates for reporting a check ride occurred on March 28th that the Birmingham FSDO claimed occurred on February 11th. The FAA admitted the check ride occurred and was satisfactorily completed, but claimed the alleged use of a later date was material and falsely reported with the intent to deceive, although the FAA never articulated any reasonable motive to use a later date. "The check ride could not have occurred on February 11th, because on that date Ed Jeszka still had a feeding tube surgically inserted due to his fight with stomach cancer. Jeszka and Ledbetter were also able to corroborate their testimony by introducing cellular phone records that proved the pilots were at the Jasper airport on March 28th and that both phones were inactive during the time they took the check ride. The only evidence submitted by the FAA was the testimony of a local aviator, Joey Sanders, who testified that he could not remember whether or not he saw Jeszka and Ledbetter at the airport on March 28th, a date approximately fourteen months before he testified. "• The Administrator formally grounded a Lear Jet while Darby Aviation had it voluntarily grounded for maintenance and an inspection. Subsequently, the Administrator dismissed this action. "• The Administrator brought emergency actions against Darby’s Chief Pilot and Director of Operations for alleged log book violations, but later voluntarily dismissed these actions. "• The Administrator sought a civil penalty from Darby Aviation claiming that a Darby pilot’s check ride was invalid because the check airman (another Darby pilot) was allegedly not current. Although the regulations expressly provide that an instrument proficiency check can be substituted for the general competency requirements, the Administrator claimed the Federal Aviation Regulations (“FAR”) do not mean what they say because the questions required for an instrument proficiency test do not cover all of the general subjects listed in the competency section (14 C.F.R 135.293(a)(1) and (4-8)). Darby prevailed at the initial hearing. The Judge ruled that the language of the FAR was clear on its face and that there would be no reason to substitute if the tests were the same. The FAA appealed to the Administrator. The Administrator has withheld its appellate ruling for nearly a year, without providing any justification for the delay. "• Darby Aviation’s present POI revoked all check airman authority from Darby Aviation due to the above allegations that were later determined to be without justification. Darby's check airman authority has not been reinstated, despite Darby’s victory in front of the ALJ, because the inspector revoked approval of Darby's operations manual and training program and now claims that due to the revocation, Darby does not have enough business to justify check airmen. There is no inspector in the state of Alabama that can conduct check rides on a Gulfstream Jet, so a qualified, approved and current check airman will have to be located and procured by the FAA at the cost of the tax payers to conduct each check ride in the future. "• Due to the Birmingham FSDO’s repeated attacks upon Darby Aviation and claims that Darby was not complying with non-existent record requirements, Darby Aviation requested permission to hire additional employees to assure future compliance with all regulations. The Birmingham FSDO denied this request. The Birmingham FSDO said Darby Aviation did not have sufficient activity to warrant additional employees (it had already wrongfully revoked its manual), yet the attacks for supposed record violations continued. "• The Administrator suspended Darby’s Chief Pilot’s certificate and brought a civil penalty action against Darby Aviation, claiming that the pilot did not complete an oral or written test within twelve months of particular flights in accordance with 14 C.F.R. 135.293(a). Darby produced the actual written tests the Chief Pilot passed that were approved by the Birmingham FSDO. Darby offered uncontroverted testimony and forms establishing the oral test and the written tests were taken and passed. No evidence was offered to the contrary. Instead, the Administrator argued that the approved tests were insufficient because although only two of the competency check subparts expressly require the test to be taken on “each type of aircraft flown,” the general subparts must also be completed on each type of aircraft flown. It would not make sense and would be contrary to regularly accepted rules of construction if two subparts of the regulation explicitly state “for each type of aircraft flown,” while the other general subparts omit that language, yet all subparts were required "for each type of aircraft flown." (See 14 C.F.R. 135.293(a)(1-8). "• Additionally, the present POI faxed to SimCom written and signed approval of a SimCom check airman prior to the date the Chief Pilot took, passed and paid for the simulator check ride in the Lear Jet. During opening arguments at the hearing, over a year later, Darby first learned that the Birmingham FSDO POI alleged the check airman had not been approved because the inspector claimed he only signed the approval so the pilots could test under parts 61 and 91 of the FARs and, therefore, the check rides were allegedly void. This argument was obviously manufactured after the fact, as Darby would not need approval to test under Part 61 or Part 91. SimCom wrote to the Administrator and explained that it charged Darby Aviation and conducted the check rides in reliance upon the inspector's written approval of the check airmen. This action is presently on appeal to the NTSB Board. • The Administrator suspended Darby Aviation’s Director of Maintenance’s (“DOM”) certificates claiming that the Lear Jet and the Gulfstream II were unairworthy and alleging the DOM failed to record maintenance performed in the maintenance records The Administrator voluntarily dismissed the allegations regarding the Lear Jet after several months. With regard to the Gulfstream, an expert testified the plane was in fact airworthy and the Court agreed, dismissing the frivolous unairworthy claims. Despite the uncontested testimony, the ALJ found that the mechanic should have recorded in the logbook that he did not repair what did not need to be repaired per the Gulfstream manual. 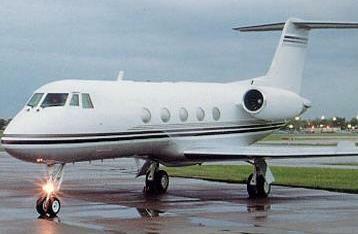 If this were the case, nearly every Gulfstream II or III maintenance provider would be subject to suspension as the expert testified that of the hundreds of logbooks he has reviewed while working at Gulfstream and other repair facilities, no operator has ever recorded not doing the unnecessary repairs in a maintenance log book. Despite the court's ruling in Darby's favor, the Administrator has not yet rescinded letters of investigation that it issued to the Chief Pilot for flying the allegedly unairworthy Gulfstream and to the company for another civil penalty. • The Birmingham FSDO PMI admitted under oath to receiving a monetary award for suspending the certificate of Darby’s mechanic. An Aviation Safety Inspector from the Birmingham FSDO admitted under oath that prior to the unannounced inspection of Darby’s facility, several Birmingham FSDO officials met together to plan actions against Darby Aviation and that he was aware of the Platinum incident. "The instant Part 135 certificate suspension is equally frivolous and designed to harass. Darby Aviation's operations and training manuals have been approved since 1992. Darby Aviation has had six (6) different Principal Operations Inspectors since 1992. Prior to the present inspector, Darby Aviation has always had communicative and positive working relationships with its inspectors. After the meeting amongst the Birmingham FSDO officials where the Birmingham FSDO planned an attack against Darby Aviation, the present POI threatened to suspend Darby Aviation’s operating and training manuals, citing a particular number of vague and petty issues with the manuals that had long been approved. Darby amended the manuals as requested and resubmitted the manuals. "FSDO told Darby Aviation that it was “not in the manual writing business” and refused to articulate the alleged problems. At one point, the Front Line Operations Manager and the Manager of the Birmingham FSDO told Darby Aviation that if it made the final changes, the manuals would again be approved. Darby made the changes, but the Birmingham FSDO did not honor its agreement. Instead, over a year later, the present action to indefinitely suspend Darby’s Part 135 Certificate ensued. "Now the FAA attempts to utilize the numerous revisions to claim that Darby's manuals were insufficient on numerous occasions. Darby Aviation hired a professional company to write the manuals, the manuals were approved for over a decade and Darby Aviation hired a former FAA inspector to help with the revisions. Nothing Darby Aviation could submit would be acceptable to the Birmingham FSDO because the goal is to put Darby Aviation out of business, not to correct alleged deficiencies in the manuals. "The allegation that Darby Aviation’s Chief Pilot and Director of Operations are incompetent is offensive, disparaging and blatantly false. The Chief Pilot has approximately 16,000 flight hours, has held an Airline Transport Pilot (“ATP”) rating for 30 years, is Helicopter rated and is type-rated in multiple jet aircraft, including: 20 and 30 series Lear Jets, Gulfstream II and Gulfstream IV heavy jets. The Director of Operations has approximately 20,000 flight hours, worked for Continental Airlines for many years, has held an Airline Transport Pilot (“ATP”) rating for 41 years, is typerated in 20 and 30 series Lear Jets, Gulfstream II, DC-10 and Boeing 727 airline jets. Each have extensive and rare international charter experience for passenger, hazmat and life-flight services and each have serviced large corporations, U.S. and foreign governments, the United States Military, and many well known entertainers and politicians over the past 20 years. Prior to the recent attacks by the Birmingham FSDO, neither the Chief Pilot, nor the Director of Operations had ever received a violation or were ever investigated for wrong doing. "Darby Aviation has appealed this improper certificate suspension and will appeal any other frivolous and unfounded orders entered by the Administrator or the FAA. If necessary, Darby Aviation will proceed to protect its constitutional rights in the Federal District Court and will pursue any and all remedies available to Darby Aviation against the individuals involved. Darby Aviation's efforts to fight this clear vendetta/conspiracy against the unlimited resources of the United States Government, however, has been daunting, exhausting and extremely expensive. Darby Aviation has suffered great financial loss and its reputation has been damaged by the FAA's unsupported and baseless allegations. These allegations were intentionally designed to destroy the company and its employees. Congress has relinquished control to the Administrator, who in turn has sanctioned or failed to properly supervise its rogue employees and their improper actions. This flagrant governmental misconduct must be exposed and the responsible individuals must be held accountable".